ePublishing Knowledge BaseePublishing Knowledge BaseePublishing Knowledge Base Common QuestionsMy site is on stage and I need to access locked (requires log-in) articles, how can I do this? The staging environment, known as stage, is typically used to test changes out before making them on their live websites. Because changes can have unintended consequences for a website, using the staging environment is safer. 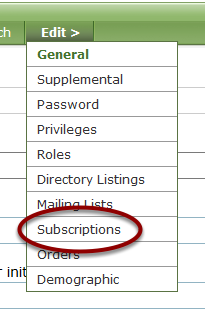 However, when you access your website in stage, the User Manager tool may not have up-to-date information from your circulation vendor or may be missing subscription records that exist on your live website. When this happens, create a new subscription record on stage to grant a user access to locked content on stage to test necessary functionality or layouts. Follow the below steps to do so. The same steps apply to granting a user access to a specific newsletter or publication. Just make sure that the appropriate type of subscription, publication or newsletter name, license type and resource type are selected. Learn how to access your Stage environment in this article: How do I use my website's staging environment to test changes before pushing a change live? Scenario: John Majors needs to get access to articles tagged with "Requires Subscription" and "Requires Registration" on the stage site. Open his record on the stage site in the User Manager by clicking the ID number next to his name. Zoom: Open his record on the stage site in the User Manager by clicking the ID number next to his name. License Type = This is not yet available, but when it is, select Individual. Note: The External ID references any circulation/CRM vendor integrations. It holds the user's identifier in the circulation/CRM vendor's database. You do not need to add anything here. 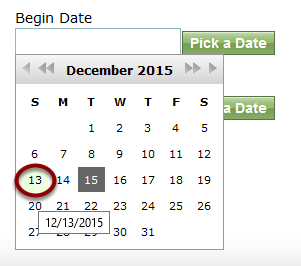 Begin Date: Select a date from the past. 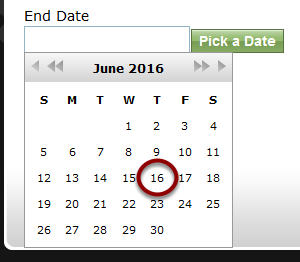 End Date: Select a date a distant time in the future. To change years, click the double arrow. Return to the locked content on the website. You will need to refresh the page to now gain access to this previoulsy gated / locked content. Prev: My site isn't updating as quickly as I think it should when I add new content. Why? Next: What are valid test credit card numbers I can use to test my shopping cart?